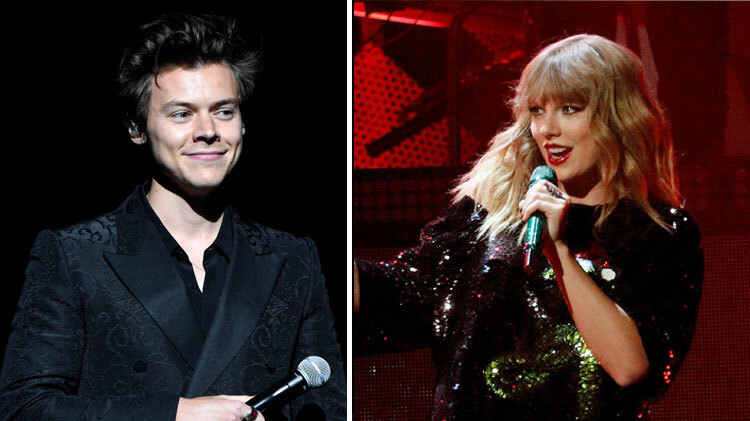 Fans Are Still Shipping Harry Styles and Taylor Swift Years After Their Romance, and He’s Encouraging It! Ya'll, Harry Styles and Taylor Swift only dated for a like a minute and fans simply will not let it go! Here we are like five years later, and fans are still shipping Haylor. Even worse? Harry is encouraging it! At a recent concert, he got thisclose to singing one of the pop diva's biggest hits, and fans are literally losing their minds over it. It all started when Harry learned that a fan in the audience named Thea was having a birthday. Being the nice guy he is, he asked how old she was turning. Now, whether this was the truth or a trick, we'll never know, but Thea responds, "I'm 22!" “22, she’s 22, okay," he laughs. "I don’t know about…,” he paused, stepping back from the mic and letting out a snicker. We all know what comes next, and it's the lyrics of his ex Taylor's song. "I don't know about you, but I'm feeling 22!" Come on Harry, you knew EXACTLY what you were doing with that one! It certainly wasn't an announcement of love or anything, but it was all fans needed to turn the embers of their ship to a flame of obsession. "BREAK UP WITH JOE ALWYN AND GET BACK TOGETHER WITH HARRY STYLES @taylorswift13," screeched one fan. Another agreed saying, "imagine thinking Taylor Alison Swift and Harry Edward Styles aren’t soulmates." This is far from the first time Harry sparked rumors that Taylor is still on his mind. When he dropped his first solo album, there was basically no denying that his song "Two Ghosts" was 100% about Taylor, with lyrics like "Same lips red, same eyes blue. Same white shirt, couple more tattoos." Come on, they totally align with Taylor's song (about Harry!) "Style." "And I got that red lip, classic thing that you like. You've got that long hair slick back, white t-shirt." Stop riling up the fans if it's never going to happen, guys!